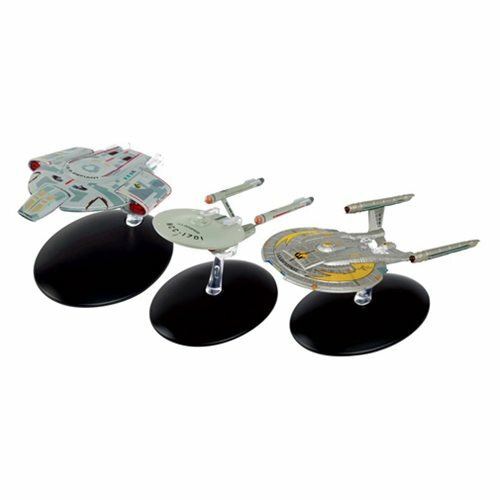 Another incredible set of Star Trek models features renowned and rare shuttles from across the franchise! There's nothing quite like traveling at warp speed and enjoying some of your favorite shuttlecraft ships, and no better way to do so than with this Star Trek Starships Mirror Universe Set #5. Each of the amazingly detailed three shuttles includes a display stand. Ages 14 and up.